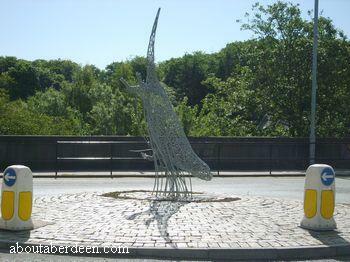 On the Ellon roundabout in Aberdeenshire by the Ythan River Bridge as can be seen in the photo to the left there is a lovely statue sculpture of an otter. 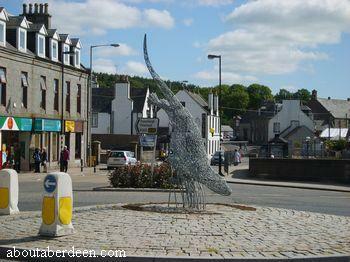 There is a picture collection of the Ellon otter statue further below this page. 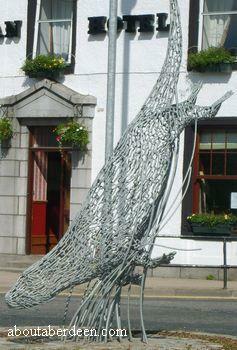 The 10 feet tall statue was designed and created by sculptor Andy Scott in Glasgow. 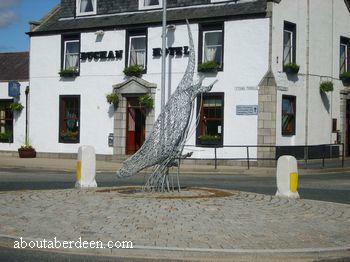 An otter was chosen to signify the relationship between Ellon and the River Ythan which is home to many otters. The galvanised steel gives the monument a beautiful silver sheen and glow at night, especially when lit by passing cars. More Aberdeen monuments and statues.